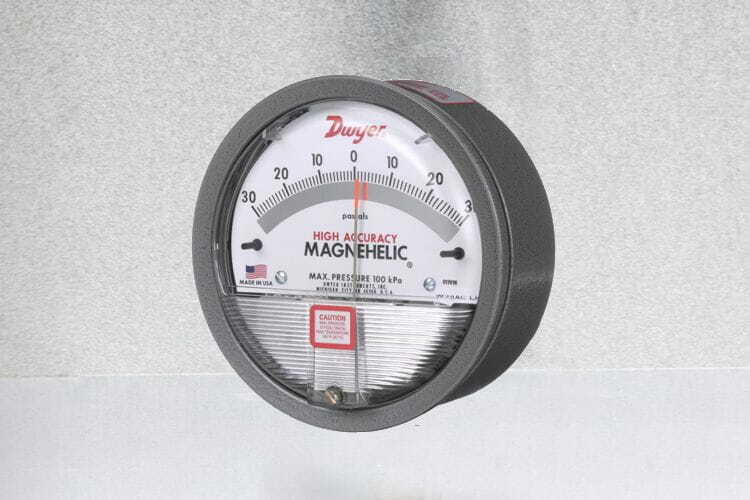 Select the Dwyer® Magnehelic® gage for high accuracy — guaranteed within 2% of full scale — and for the wide scope of ranges, starting at 60 Pa. Using Dwyer's simple, frictionless Magnehelic® gage movement, it quickly indicates low air or noncorrosive gas pressures — either positive, negative (vacuum) or differential. The design resists shock, vibration and over-pressures. No manometer fluid to evaporate, freeze or cause toxic or leveling problems. It's inexpensive, too.